The ELF Drop-In Match Trigger has been built for performance. 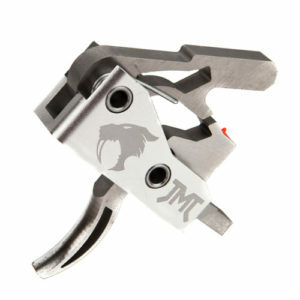 The only AR-15 trigger using aircraft needle bearings, making for an incredibly smooth and fast trigger pull. Pull weight is so easy to adjust it can be done in seconds without removing the trigger from your lower receiver. 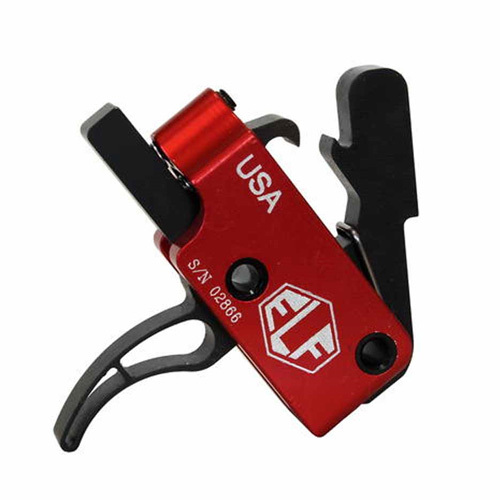 A second-to-none AR-15 drop-in trigger system that is strong and light, made of wire EDM machined, hardened A2 tool steel and lightweight aircraft-grade aluminum. Installation can be done in minutes using your AR’s original hammer and trigger pins. The match trigger may be ordered with a curved or straight shoe. The amazingly short take-up, glass-rod crisp break and next to zero over-travel can be compared to the finest custom 1911 triggers. Adjustability puts you in charge based on your current use. 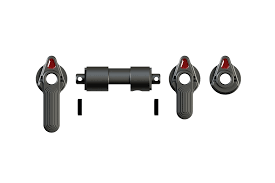 If you are looking for the finest adjustable trigger for your AR-15 platform, this is the trigger system for you. Fits any mil-spec AR-15 (Large pin Colt available). Absolutely Drop-Safe regardless of pull-weight. Factory set Pull-weight is approximately 50% lighter than that of a standard AR-15 trigger, providing a great combination of speed and accuracy. Adjustable from 4lbs to 2 1/2lbs without removing from lower. Full power hammer spring ensures proper ignition of primer. Very short pull and reset allows for rapid follow up shots and greater accuracy. 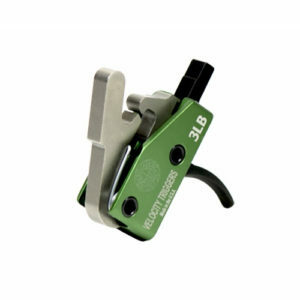 Sturdy trigger assembly designed for rugged, trouble-free use; made of lightweight aircraft-grade aluminum and hardened steel. Unique design of disconnect allows full 1/4” width eliminating possibility of wear and double-firing. High performance trigger and hammer needle bearings for smoother and faster firing. Benefits a wide variety of AR-15 enthusiasts, including collectors, competitive shooters, hunters, military, law enforcement, and disabled veterans. 100% made in America with a Lifetime Guarantee!